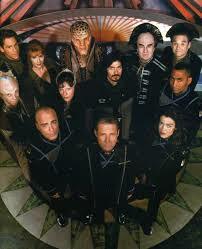 Babylon 5, the classic sci-fi TV show from the ’90s, celebrates its twentieth anniversary this year. It all started with an obscure TV movie pilot called Babylon 5: The Gathering, which was about an orbital space station that served as a common meeting ground for several alien races including humans. Created by J. Michael Straczynski, Babylon 5 steadily built up a core fan base thanks to its epic plotlines and complex characters. These are the best episodes from its five-year run. * WARNING: Some major spoilers lie below. 20. 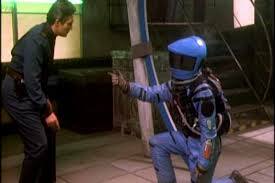 “Day Of The Dead” An alien festival held in the station during the show’s fifth season (written by Neil Gaiman) brings about visions of deceased people to many main characters. 19. “Comes The Inquisitor” Captain John Sheridan (Bruce Boxleitner) and Mimbari Ambassador Delenn (Mira Furlan) are held captive and tortured by a mysterious human (Wayne Alexander) sent by the enigmatic alien Vorlons to see if they are worthy for a coming struggle–namely the Shadow War. 18. 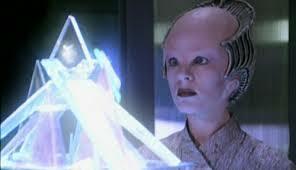 “Z’ha’dum” This third-season ender featured Sheridan’s supposedly dead wife (Melissa Gilbert) coming to Babylon 5 as an envoy for the evil, spider-like Shadows and tries to recruit him to their side in the Shadow War. 17. “And Now For A Word” A news crew visits the station during the Narn-Centauri War in the second season. The episode is shot mostly in a documentary format, as viewers see various characters being interviewed, learn their viewpoints and witness a battle in the war. 16. “Shadow Dancing” As Sheridan stages his forces for a battle against the Shadows, the station’s doctor Stephen Franklin (Richard Biggs) is seriously wounded while on a self-imposed sabbatical. 15. “Babylon Squared” This intriguing first-season episode hints at the show’s epic scale when Babylon 4, the station’s predecessor, mysteriously reappears after it went missing years ago. Investigations reveal that Babylon 4 is unstuck in time and tantalizing clues for what lies ahead for the show are unveiled. Some of the revelations are truly jaw dropping. 14. ” Point Of No Return” The station is placed under martial law the paramilitary organization the Nightwatch and station personnel must grapple with their loyalty to Earth or defying their government by confronting the Gestapo-like Nightwatch officers. 13. “No Surrender, No Retreat” In this fourth season episode, Sheridan decides to free the Earth colony Proxima 3 from the tyrannical Earth Alliance rule and provokes a showdown between his fleet and that of the Earth Alliance forces. 12. “In The Shadow of Z’ha’dum” More information about the Shadows and the mysterious Vorlons are unveiled as Sheridan faces difficult choices after learning that his wife was killed by the Shadows years earlier and that the mysterious Mr. Morden (Ed Wasser) is an associate of the Shadows. 11. “Chrysalis” This stunning first-season finale marked the last time Jeffrey Sinclair (Michael O’Hare) was the show’s main lead as the Earth Alliance president is assassinated and Security Chief Michael Garibaldi (Jerry Doyle) is critically shot while uncovering the conspiracy to kill the president. Meanwhile, the Minbari ambassador Delenn decides to undergo a metamorphosis. 10. “Believers” Dr. Franklin must contend with alien parents whose religious beliefs won’t allow him to operate on their fatally ill son. The ethical dilemma faced by the doctor was well presented as were the aliens’ beliefs that clashed with his Hippocratic oath. The ending was a horrific shocker that illustrated how extreme both sides were about following their values. 9. “Endgame” At last! What fans have been waiting for since the start of the series. Sheridan’s forces finally arrive on Earth to free it from the tyranny of the Earth Alliance. This conclusion of the Earth Civil War had been building up for years in Babylon 5 and was emotionally satisfying to watch as both sides orchestrated final, fateful maneuvers. 8. “The Deconstruction Of Falling Stars” This unusual fourth-season ender examines the impact that Babylon 5 and its crew has on humanity way into the far future. 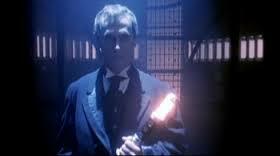 Originally the episode “Sleeping In Light” was to be the finale when the show was prematurely cancelled. But a last-minute reprieve meant that the series finale had to be delayed and this episode was hastily produced and aired instead. The captivating story culminates in humanity’s fate a million years from now. 7. 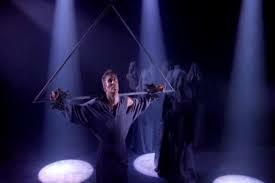 “The Fall Of Night” Babylon 5 had many memorable season finales but this was the best one. Nagging questions were answered while new ones arose to keep fans talking in between seasons. The biggest reveal was that Kosh, the mysterious ambassador of the enigmatic Vorlon race finally shows what he looks like and it’s a stunner. Meanwhile, Sheridan and the station crew find themselves on their way to confronting the Shadows and the despotic Earth Alliance. 6. “The Long, Twilight Struggle” The Narn-Centauri War comes to a bitter end as the losing Narn fight a valiant struggle against the Centauri, who were secretly helped by the Shadows. Meanwhile, Sheridan gains important allies for the coming Shadow War. The performances by the two rival ambassadors of each race G’Kar (Andreas Katsulas) and Londo Molari (Peter Jurassik) were gripping and arresting, as were many haunting images of the war itself. 5. 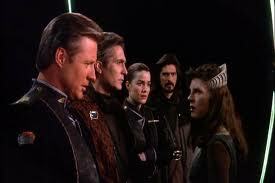 “Sleeping In Light” Babylon 5’s series finale was one of the best ones ever done for any series. Taking place twenty years after the pivotal events in the show (the Shadow War, Earth’s liberation), surviving characters reunite on the eve of both Sheridan’s pending death and the decommissioning of Babylon 5 before its scuttled. Aside from the poignancy of seeing the station one last time, the episode intrigues viewers with its revelations of what the now-old characters have been up to since Babylon 5 ended. 4. “And The Sky Full Of Stars” War veteran Sinclair is kidnapped and forced to relive through a simulation his time during the final battle in the Earth-Minibari War when he was captured by the Minbari. His kidnappers are convinced he is a traitor and push him via the simulations to admit his crimes. 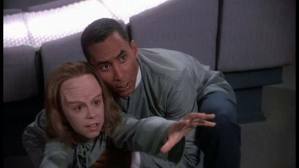 The episode effectively tantalized viewers about its mysteries, especially those about Sinclair’s memory gap during his capture and as to why the clearly superior Minbari forces surrendered to Earth on the eve of conquering humanity. 3. “War Without End, Parts One and Two” Many mysteries regarding Babylon 4, the MInbari and Sinclair are finally revealed in this two-part third-season episode. Sinclair, now leading the warrior Rangers against the Shadows, returns to Babylon 5 with an important mission for many characters. 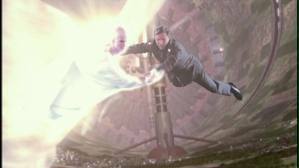 It leads to Sheridan time traveling into the future as other characters wind up a few years in the past to right before Babylon 4 disappeared, which was shown in the episode “Babylon Squared”. Aside from showing what happened to Babylon 4, Sinclair’s ultimate…and stunning fate is revealed. 2. “The Coming Of Shadows” This pivotal episode won the Hugo Award for Best Dramatic Presentation as the evil, spider-like Shadows secretly instigate the disastrous Narn-Centauri War. 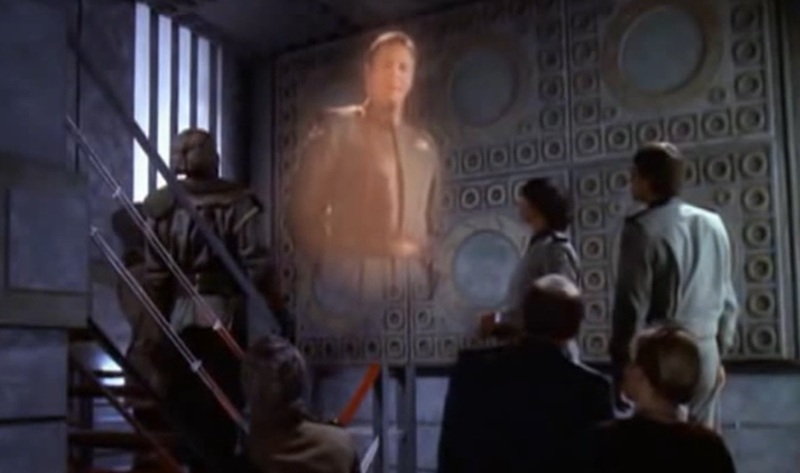 Meanwhile, Garibaldi gets a message from an old friend, former Babylon 5 commander Sinclair, who is now working against the coming “terrible darkness” and enlists his allegiance. Sinclair’s appearance was a genuine surprise and, along with the Shadows’ machinations, pushed the show and its characters into a bold, new direction. 1. 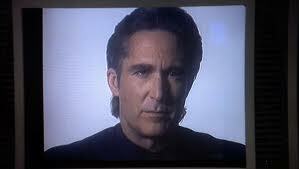 “Severed Dreams” This third-season episode of Babylon 5 served as a cathartic release of sorts. Sheridan and his crew had been dealing with the increasingly totalitarian rule of Earth Alliance President Clark, who had the previous president killed in the first season finale. Sheridan reaches a point where the only way to save their democratic way of life is to rebel against his government. 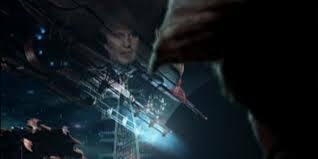 Following his declaration that Babylon 5 is seceding from the Earth Alliance a vicious battle ensues between the station and Earth warships, along with a vicious firefight inside Babylon 5 when its boarded. By the episode’s end Sheridan is now committed to a new path and must follow it to its conclusion. Honorable Mentions: ” Between The Darkness And The Light”, “Divided Loyalties”, “The Fall Of Centauri Prime”, “The Hour Of The Wolf”, “Interludes And Examinations”, “Intersections In Real Time”, “Objects At Rest”, “Signs And Portents”, and ” Walkabout”.